Daughters of the American Revolution (DAR) needed a custom checkout process for their monthly sustainer program. The initial process was very cumbersome and included an abundance of available options. 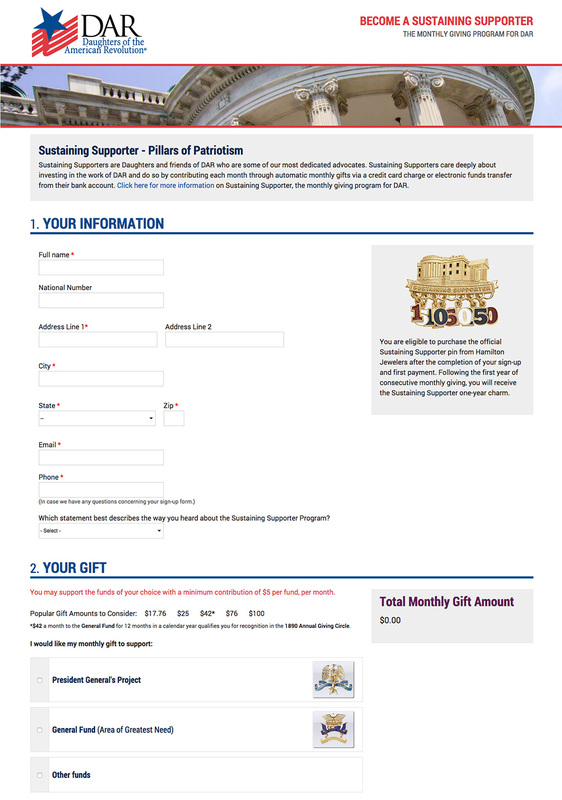 We were able to improve the experience by using inline error messages for invalid donation amounts, soft transitions so donors could see changes, progressive content disclosure to keep donors from being overwhelmed with options, and a “sticky” cart total to let them know how much their donation totaled, without scrolling up and down the page.